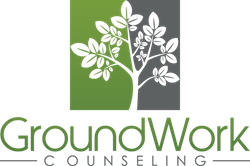 GroundWork Counseling in Orlando is a boutique private practice counseling center dedicated to providing the highest quality of care and personalized attention to our clients. At GroundWork Counseling, we provide specialized counseling services to individuals, couples, teens, and children who are in need of guidance through emotionally difficult family, personal, or professional challenges. We are a team of supportive, collaborative and solution-focused therapists and because we feel strongly that counseling shouldn’t be “one size fits all”, we strive to create a specialized experience for our clients. Our therapists exclusively and intentionally work with a small population of clientele so that we can provide the best emotional wellness services possible. Our team of therapists specialize in Cognitive Behavioral Therapy (CBT), a highly focused, short-term type of therapy that has been proven to be the treatment of choice for many types of challenges. Research has repeatedly found that CBT is the most effective type of treatment for anxiety, OCD, dissatisfaction with life, depression, as well as many other emotional challenges. Unlike most other types of therapy that typically focus on early childhood experiences and past traumas, CBT is focused on the present and is very goal-oriented and active. CBT utilizes self-help skills such as homework assignments to dynamically change thoughts, feelings and behaviors. Because treatment is so active and focused, improvement typically takes place much sooner than in other talk therapies and as a result, CBT helps to end treatment sooner and teaches you to become your own best resource to solve problems. Research on the effectiveness of CBT has been overwhelming, making CBT the treatment of choice. When you call Groundwork Counseling, you will speak directly with a therapist to set up your appointment. During your initial phone call a counselor will work with you to match you with the best possible counselor at our office to help support you and your unique needs. We know that having an exceptional connection with the counselor who is going to share in the most significant aspects of your personal growth is of utmost importance. Our therapists are often easily reached, quick to return phone calls, and best of all, specially trained in CBT. Our mission is to provide an understanding and supportive environment that will help facilitate growth, healing, solutions, and results. GroundWork Counseling’s founders, Marion Plessner Rodrigue, and Courtney Rodrigue Hubscher are no strangers to working together. As a young girl, Courtney helped her mother, Marion, with her “kid-tested Mom-approved” pony business by riding, training and showing ponies that Marion sold on the hunter circuit in Maine. The pair travelled to horse shows together nearly every weekend throughout Courtney’s teen years, spending more time together than most mothers and daughters. When their paths both led them to the field of psychology and counseling, it seemed only natural that they would work together again. 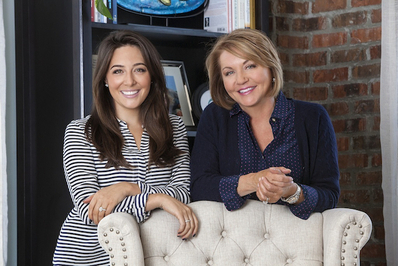 Courtney and Marion are often asked how a mother and daughter duo can not only have a wonderful working relationship, but also thoroughly enjoy “mother-daughter time” outside of the office, and it stems from respect and admiration. We look forward to helping you, and your family.